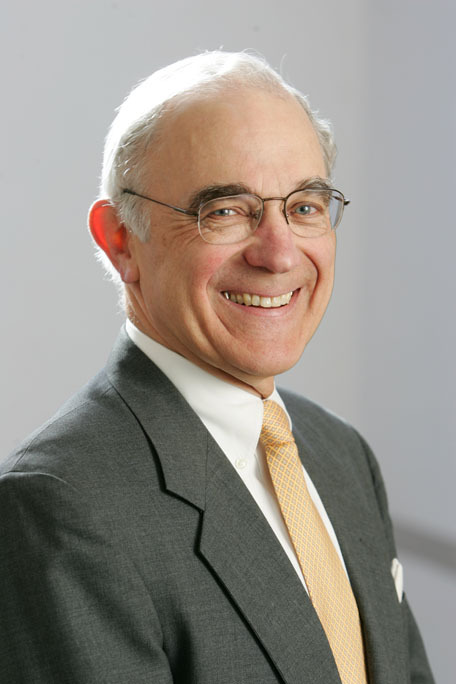 Henry (Hank) B. Reiling, Harvard Business School’s Eli Goldston Professor of Business Administration, Emeritus, and an authority in law, taxation, and finance whose extraordinary teaching abilities and course development had a profound impact on thousands of MBA students and business leaders, died on January 21, 2019 in Belmont, MA. He was 80 years old. Reiling joined the Harvard Business School (HBS) faculty in 1976 and was appointed the first Goldston Professor in 1978. He retired in 2005 but remained active as a Baker Foundation Professor until 2012. "Hank Reiling was a gifted colleague who left an indelible mark on the School over four decades,” said HBS Dean Nitin Nohria. “Working closely with him on the development of LCA, I saw firsthand how he leveraged his expertise and experience to help students understand not just the legal issues business executives face, but also the ethical responsibilities and qualities of business leadership required in a constantly changing world. Hank was a beloved professor who guided and mentored generations of students. He also was a true gentleman scholar, who touched all who had the privilege of knowing and learning from him." In addition to teaching MBA students, Reiling was actively involved in the School’s executive offerings. For years he taught and chaired Finance for Senior Executives, and co-chaired Strategic Finance for Smaller Businesses. He also taught in the School’s program for international senior managers, held in Boston and Vevey, Switzerland for years. Reiling brought a unique set of interests to the School that reflected his multidisciplinary training in law and business. He had a wide and deep knowledge of the legal process and how it evolves and changes, and a keen understanding of tax issues and matters of corporate finance. His research focused on the intersection of law, accounting, and finance. He most recently studied the complex issues confronted by family businesses as their leadership transfers between generations. He is the co-author of Business Law: Text and Cases (1982) and articles in Harvard Business Review, Michigan Law Review, the Journal of Accountancy and other leading journals. A prolific case writer, he produced dozens of HBS case studies, notes, and other teaching materials. Henry B. Reiling was born February 5, 1938 in Richmond, Kentucky. He spent his college years on Chicago’s North Shore at Northwestern University, where he received a degree in history. He went on to earn an MBA from Harvard in 1962. He received a JD from Columbia in 1965. Prior to joining the HBS faculty, Reiling was a professor at Columbia Business School, where he won several distinguished teaching awards, and was a visiting professor at Stanford Graduate School of Business. A dapper man known for his immaculate dress and Southern charm, Reiling was widely admired and respected by students and faculty alike. With his aphoristic wit, he leavened even the most complex course material. “Hank communicated dense and at times dry subject matter clearly, simply, and with homespun charm,” recalls former student Sam Mencoff (MBA 1981). “But what I remember most was not finance and tax theory, but Hank’s consistent emphasis on the importance of maintaining one’s ethical compass in business and in life,” adds Mencoff, who carried Reiling’s legacy of influence into his career. To honor Reiling, Mencoff and Greg Wendt (MBA 1987) established The Professor Henry B. Reiling Fellowship Fund at the School in 2011. The fund held special meaning for Reiling, whose father died when he was four years old, and mother worked countless over time to pay for his and sister’s higher education. “I’m sure there are many prospective HBS students today who will appreciate this fellowship as much as I did the financial support I received,” he said. Reiling’s lessons on life and leadership were published in the 2004 book Remember Who You Are: Life Stories that Inspire the Heart and Mind, by Daisy Wademan (MBA 2002), a collection of essays on personal leadership by 15 HBS faculty members. Reiling made many important contributions outside the classroom. He chaired a variety of university and professional committees, including Harvard's Advisory Committee on Shareholder Responsibilities, and a Task Force of the American Bar Association, which effected a change in the federal taxation of stock purchase warrants. He co-founded a successful financial services company, and served as a director or advisory board member of more than a dozen for-profit (publicly traded and privately owned) companies and nonprofit organizations, including Northwestern University, where he was a trustee. After retiring from HBS, Reiling continued conducting research on family business succession while serving on several business, foundation, and educational institution boards, including the Board of Visitors of Northwestern University’s Weinberg College of Arts and Sciences. For years, he was Northwestern's Boston-area Regent. A long-time resident of Lexington, MA, Hank is survived by his wife Carol and by children Christina R. Breiter (MBA 1993) and her husband Dr. Hans C.R. Breiter, Maria H. Reiling (MBA 1996) and her husband Mr. Reza Jamei, and Alexis Reiling Lessans and her husband Mr. Gregory P. Lessans, and nine grandchildren. Visiting hours will be Friday January 25th from 4-7 at Douglas Funeral Home, Lexington, MA. The service will be held on Saturday, January 26th at 1pm Hancock Church, Lexington, MA with a reception to follow at the family house 28 Meriam Street, Lexington, MA. In lieu of flowers the family has requested donations be sent to the Professor Henry B. Reiling Fellowship Fund, by mailing to HBS Development Operations, Soldiers Field, Boston, MA 02163. Checks made payable to: Harvard Business School.